For the last twenty years, animal cloning has been an exciting and relevant topic. From Dolly the sheep in 1996 to Snuppy the dog in 2005, cloning has advanced quickly in the scientific world. As of the last few years though, cloning has reached out to service the general public in the most irresistible way: pet cloning. For many of us, the idea sounds appealing. People are thinking, “I could clone my dog and have a version of him around forever!” While this idea is exciting, there are many negative outcomes that have been produced by pet cloning. As well as the negative consequences, many people believe pet cloning to be ethically wrong. Pet cloning is an revolutionary idea, but it shouldn’t be done for anything other than scientific research because the negative implications it has including, dead embryos, defective clones, mistreatment of surrogate mothers, and the stress it could eventually put on shelter animals. Pet cloning has become distinguished through the advertisements on popular websites such as New York Daily News and Elite Daily. These websites give readers few and insufficient facts about pet cloning other than where they can get it done and the price. These two websites have created hype with their stories, exciting their audiences. Along with these websites, some success stories have also gained fame on the Internet. In an article on Yahoo by Erin Brodwin, a man is said to have wrapped up his dead dogs to preserve them and then he proceeded to have them cloned in South Korea by scientist Woo Suk Hwang. After three years, the man brought home two new puppies that were almost-identical clones of their predecessors. A recent instance, as reported in the UK’s Daily Mail is of Rebecca Smith and her dog Winnie. After winning a contest, Smith brought her dog to the same scientist, Woo Suk Hwang, and had a clone of her dog, Mini-Winnie, within 6 months. While these websites and stories depict the positive developments of pet cloning, they fail to provide knowledge of the countless negative consequences. Winnie, and Mini-Winnie, her clone. In the 2005 article, “A dog’s life”, by Nature, pet cloning has a more accurate representation, illustrating both the positive and negative effects of the cloning process. Nature explains the positive outcomes of this research, saying we could begin research on many human problems through dog cloning and that the first cloned dog, Snuppy was born healthy and continues to grow and mature as any natural-born dog would. Nature also goes on to list the consequences that were suffered during the research process. They report that of 1,095 embryos planted in 123 surrogate mothers, only two clones were born alive, but shortly after birth one of the clones died. Nature argues that if this process were to be used in the future for pet cloning that it would not be very effective. They inform us that cloning one pet could result in over 100 failed pregnancies, which they believe wouldn’t attract even the most adamant pet owner. The first cloned dog, Snuppy. Another problem that arises with the cloning of pets is the high risk of birth defects and potential deaths because of them. In a 2001 article, published years before dog cloning even began, in The New York Times, scientists explain the different types of birth defects that appeared in different animals they cloned. Many of the animals shared similar problems including, “developmental delays, heart defects, lung problems and malfunctioning immune systems”. Because of these problems a large percentage of these clones ended up dying in the womb, and if they were born, they didn’t last long. In “successful” clones, ones that lived through birth and for a time afterwards, scientists saw problems arise as they aged, such a severe obesity and developmental abnormalities. This tended to be a common problem in mice. Problems in calves and cows included enlarged hearts and lungs, which eventually caused many of them to die. After scientists had recorded all the problematic clones, they found that mice had a two to three percent success rate, while cows only had a one percent success rate. Because of these statistics and the overall failure of animal cloning, most scientists deemed that it should only be done for important research. Another alarming side effect of pet cloning has been the taxing effects and the deaths of surrogate mothers. As reported in The New York Times, animal cloning uses an egg from another animal for a clone. The egg is then emptied of its genetic material, and reprogrammed with the adult’s genes, before it’s placed into a surrogate mother to develop into an embryo. Unlike normal egg development, which takes years, cloned eggs are forced to mature in minutes, or hours at most. Because of this process, scientists believe that this is why clones are born with so many defects. While this process seems unsafe enough, let it be known that most surrogate mothers are implanted with nine to ten embryos at a time (“A dog’s life”). In comparison, normal mothers usually have fix to six puppies in their litters, all of which are usually in good health. For these surrogate mothers, it can get dangerous with extra embryos being planted in them. The stakes are raised even higher when a majority of these embryos are going to die within them at any point in growth. Other than the threats presented during this grueling process, surrogate mothers are also reported to be treated as “production units”. The Humane Society details the horrors surrogate mothers face in the labs. They tell of the non-regulated activities, small cages, and invasive surgeries these poor creatures face. These animals spend their lives being cut open and reused, with hardly any concern for their general health. If pet cloning is to become more popular, a desolate future remains for dogs, cats and other animals in shelters. People are fascinated with the idea of pet cloning and the ability to hold onto their favorite pet for as long as possible. But with this attitude, where does this leave shelter animals? Nikki Moustaki from the Dog Channel raised this exact question. She recounted her own experience with her dog’s death, and the desire she may have felt to clone him, if the option had been available when he had died. Yet, like most pet owners today, Moustaki decided that she had to let go and adopted three new dogs from a local shelter. She goes on to explain the consequences the pet cloning business could put on the shelter if it were to become popular. Many more animals would be euthanized each year, and shelters may soon go out of business. Moustaki also points out that cloning costs thousands of dollars for dogs that may or may not turn out to be like the original. Unlike cloning, adoption costs very little, sometimes it’s even free. Moustaki urges her readers to re-think cloning and to consider adoption instead, so that shelter animals don’t face death. Now that the distant dream of pet cloning had become a reality, many people are jumping out of their seats and willing to pay thousands of dollars to keep their favorite pets for as long as possible. While this seems like one of the best inventions of the 21st century, there are more reasons why it shouldn’t exist, rather than why it should. Animal cloning is still in an early experimental stage, putting out an average success rate of one percent. Because scientists are still experimenting with it, they have found that many clones die in the embryonic stage, or die shortly after birth. While some clones survive, almost all of them have some type of birth defect or genetic abnormality that greatly impacts their life or causes them to die early. Along with the clones, surrogate mothers face a life of brutal treatment due to unregulated laws and labs. Within this chain of misery, even normal pets are affected. If pet cloning is to become popular, shelter animals will face an even larger threat of death based on the assumption that no one will adopt pets, if pet cloning becomes commercially available. Is all of this worth it for a cloned pet that may not even live up to an owner’s expectations? The pet cloning mania should be stopped in its tracks now, before we see a mass production of the horrid process we see as of today. Alba, Alejandro. "People Can Clone Their Dogs in South Korea for $100,000." New York Daily News. N.p., 15 Dec. 2014. Web. <http://www.nydailynews.com/news/world/people-clone-dogs-south-korea-100-000-article-1.2046263>. Brodwin, Erin. "This Man Wrapped His Dead Dogs in Wet Towels, Took Them to Korea and Cloned Them." Yahoo! Finance. N.p., 8 Dec. 2014. Web. <http://finance.yahoo.com/news/lab-where-pay-dog-cloned-214556760.html>. Fuller, Gillian. "You Can Get Your Dog Cloned in South Korea for Just $100,000." Elite Daily. N.p., 10 Dec. 2014. Web. 1 Feb. 2015. <http://elitedaily.com/news/world/get-dog-cloned-south-korean-lab/877518/>. Harding, Eleanor. "Cloned Dog Winnie the Dachshund Meets Her Genetic Twin." Daily Mail. N.p., 11 Aug. 2014. Web. 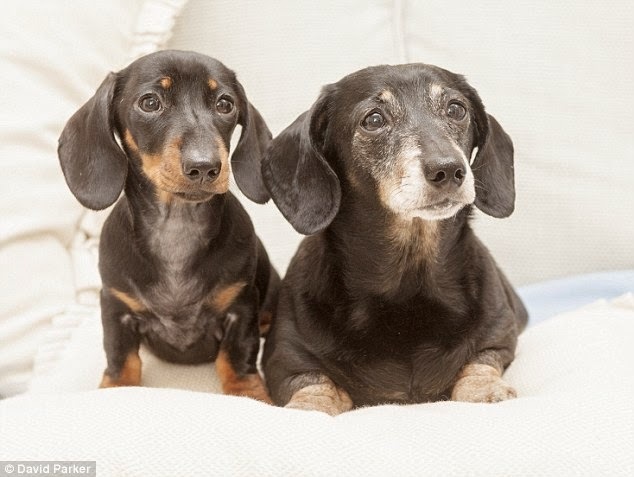 <http://www.dailymail.co.uk/news/article-2722382/UK-s-cloned-dog-Winnie-dachshund-meets-genetic-twin.html>. Humane Society. "Factsheet on Animal Cloning." The Humane Society Of The United States. N.p., 28 Sept. 2009. Web. <http://www.humanesociety.org/issues/cloning/qa/questions_answers.html>. Kolata, Gina. "RESEARCHERS FIND BIG RISK OF DEFECT IN CLONING ANIMALS." The New York Times. N.p., 25 Mar. 2001. Web. <http://www.nytimes.com/2001/03/25/world/researchers-find-big-risk-of-defect-in-cloning-animals.html>. Moustaki, Nikki. "The Cost of Cloning." DogChannel. N.p., 3 June 2014. Web. 1 Feb. 2015. 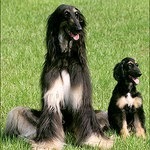 <http://www.dogchannel.com/dog-rescue/cost-of-dog-cloning.aspx>. Nature. "A Dog's Life." Nature. N.p., 4 Aug. 2005. Web. 26 Jan. 2015. <http://www.nature.com.prox.lib.ncsu.edu/nature/journal/v436/n7051/full/436604a.html>.